One of the Galle’s many attractions to discover, Kanneliya Rainforest is a place for the people searching for adventure tourism. This place is known for hiking, smoky waterfalls, beautiful landscapes and just an adrenaline filled adventure trip. Being a low land forest is extends to about 5306 hectares. The KDN complex, namely the Kanneliya, Dediyagala and Nakiyadeniya is are the three biggest rain-forest reserves in Galle. Kanneliya is the biggest among this complex and is located about 36 km northeast to Galle. This forest has abundant of biodiversity and receives around 3750mm rainfall annually. A large number of endemic plants are reserved in this area. The Kanneliya Rain forest is full of attractions which makes is a popular place among the tourists. 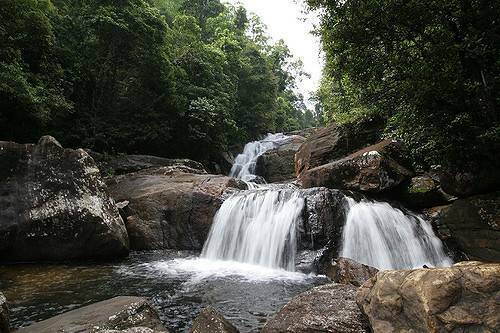 The Anangimale waterfall is located around 2 km from the entrance to this forest and is a very mesmerizing place. The most suitable time to visit this place is from December to February since this place gets the highest rainfall during this period. This leads to the rivers running through the forest to run with full force and create a spectacular environment. There are a series of natural pools located behind the Kanneliya Rainforest and is a good place to take a soothing and energizing bath. The people visiting this place for hiking should visit during the months of March or April. A visit to this rain-forest is an exciting experience and creates some wonderful memories!